Balance is partly poise, partly letting go. Struggling doesn’t work, or not for long anyway. 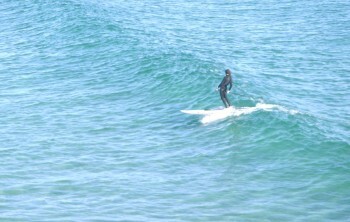 How’s your business balance, one with the wave, or struggling? Try relaxing (but not so much as to fall off the board, so to speak). I love the little beach allegories that you do!